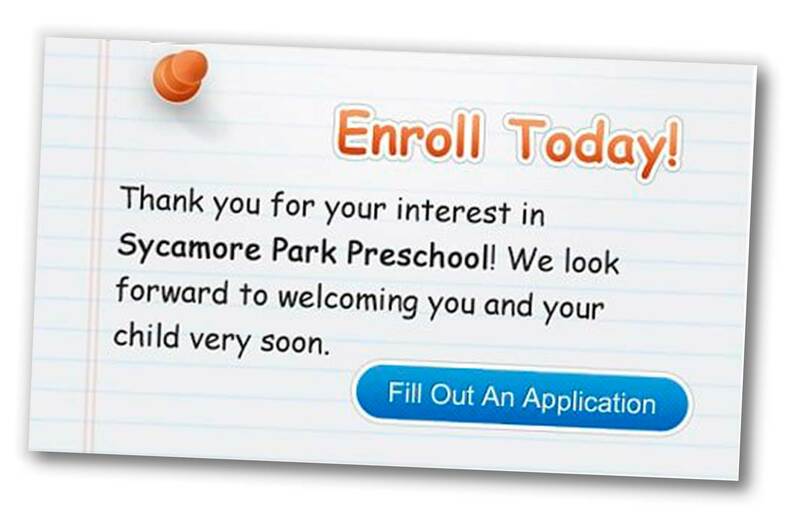 Each class at Sycamore Park Preschool is tailored for a specific age group. There are three classes: PSI, PSII, PreK and our Toddler Program. 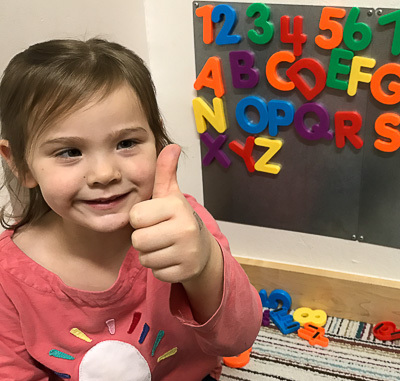 Children may enter the program at any time, however, children gain the most from the program when they begin in the toddler or PSI class and graduate after completing PreK. Please note that generally, we enroll classes in February for the upcoming school year and children remain in that class until they ‘graduate’ to the next class in June. Therefore it is acceptable, for example, for a two-year-old to remain in the toddler program until they are two-and-a-half. Children must reach their 1st birthday on or before 9/1/2018 to enter the Toddler Program for the 18/19 school year. With the 9:00am-1:00pm or 9:00am-3:00pm programs, extended care is available for an additional hourly fee. Maximum class size is four daily, with a ratio of 4:1. Children may attend between three to five days per week and there is no potty-training requirement. 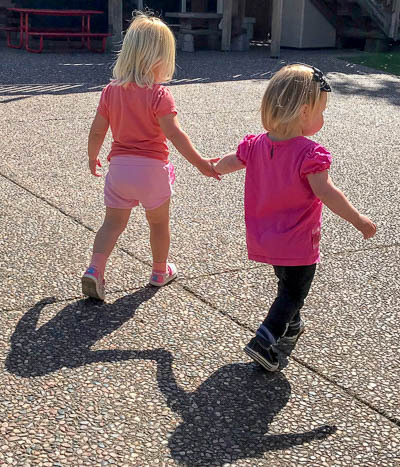 What is offered: group and individual play/socialization in & outdoors, circle & story time, arts and crafts, daily coloring time, all enrichment classes (once children have reached their 2nd birthday) two snacks and a well-balanced, healthy lunch, nap. Children must reach their 2nd birthday on or before 9/1/2018 to enter PSI for the 18/19 school year. Maximum class size is 6 daily, with a ratio of 6:1. Children may attend between two to five days per week and there is no potty-training requirement. 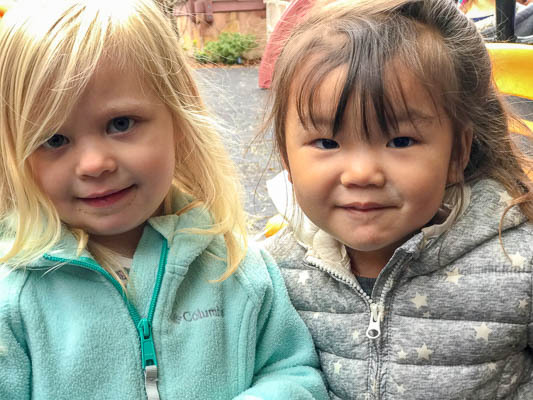 What is offered: group and individual play/socialization in & outdoors, circle & story time, arts and crafts, one 20 minute table time activity daily, show & tell (sharing) all enrichment classes, two snacks and a well-balanced, healthy lunch, nap. Children must reach their 3rd birthday on or before 9/1/2018 to enter PSII for the 18/19 school year. With the 9:00am-3:00pm program, extended care is available for an additional hourly fee. Maximum class size is 8 daily, with a ratio of 8:1. What is offered: group and individual play/socialization in & outdoors, circle & story time, arts and crafts, two 25 minute table time activities daily, show & tell (sharing) all enrichment classes, two snacks and a well-balanced, healthy lunch, nap. Children must reach their 4th birthday on or before 9/1/2018 to enter PreK for the 18/19 school year. With the 8:30am-2:30pm program, extended care is available for an additional hourly fee. Children may attend four or five days per week and children must be potty trained. 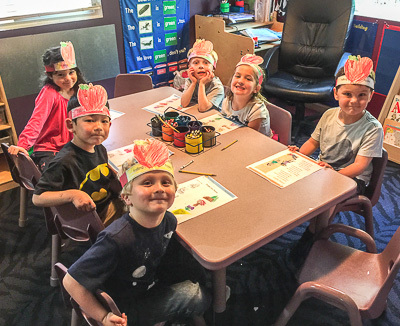 What is offered: group and individual play/socialization in & outdoors, circle & story time, arts and crafts, three 25 minute table time activities daily, show & tell (sharing) all enrichment classes, two snacks, and a well-balanced, healthy lunch.